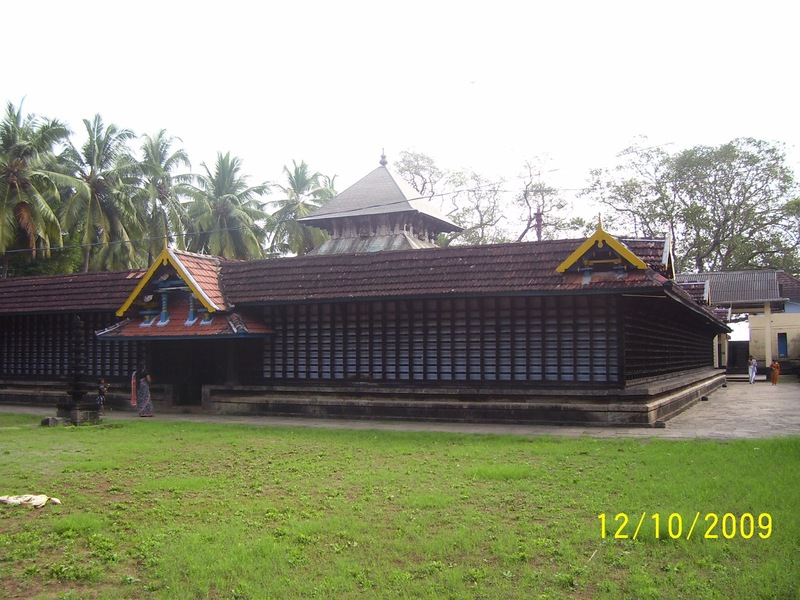 Thirunavaya Temple, an ancient Hindu temple, is located at Thirunavaya, 12 km South of Tirur in Malappuram district of Kerala state, India. From ancient times Thirunavaya was known throughout India as a centre of excellence for Vedic teachings, with Veda Paadda Saalas (Thirunnavaya Otthanmmar Maddom) for teaching the Vedas, Sasthras, Tantric Mantras, performing of rituals and preaching under learned scholars. 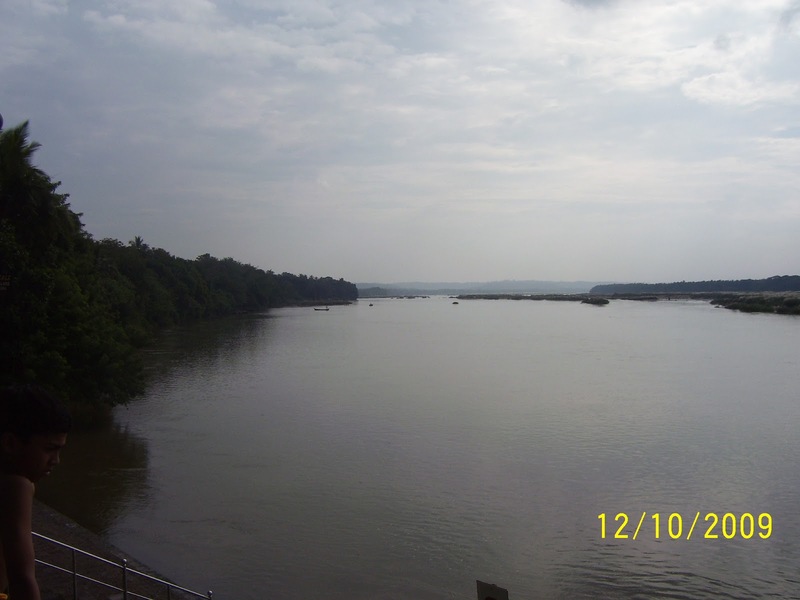 (Recently these were shifted to Cheru Thirunnavaya, a centre on the South bank of Bharathapuzha). 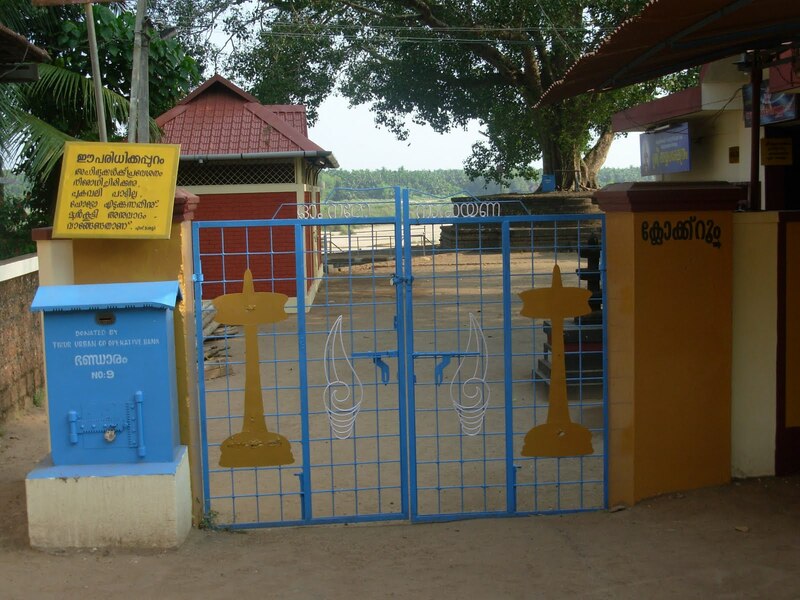 The Vaishnava sect of Hindus have 108 Thiruppathis (most holy temples) and eleven of them are now in Kerala and Thirunavaya is one among them. It was on the sandy ridges and outskirts of Bharatapuzha that the glorious magnum event MAMANKAM was conducted once in every 12 years. This temple was constructed about 5000 years back. 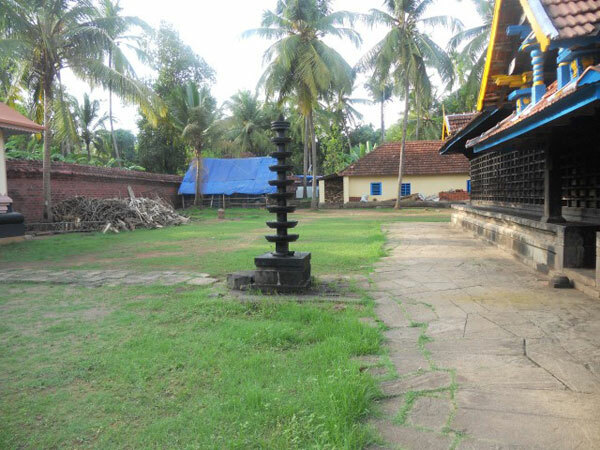 Though it had undergone periodical renovations, the last and major renovation with the reconstruction of Sanctum Sanctorum was done by the legendary PERUMTHACHAN under the direction of the Vettath Raja about 1300 years back. 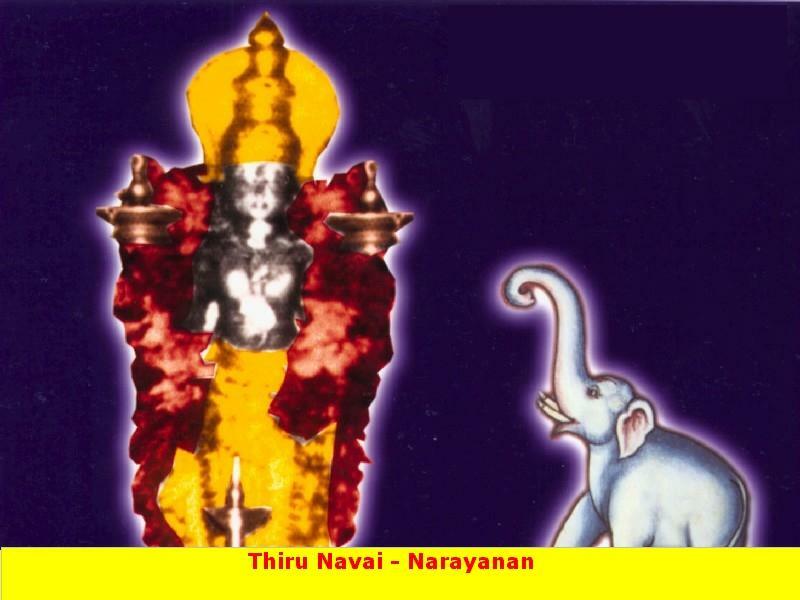 The reconstruction had the typical 'Perumthachan touch' making the rays of the rising sun fall on the idol on every Medam First (in Utharaayana period, i.e in April) and on Kanni First, (in Dakshinayana period ie, in October). 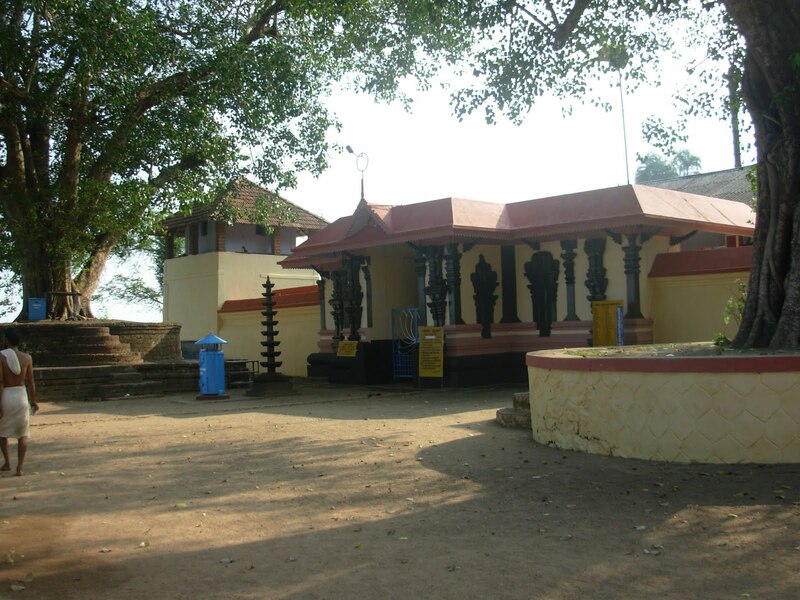 This temple of Lakshmi Narayana which is situated on the banks of Bharatha Puzha (Also called Neela Nadhi) is one of the most ancient temples of Kerala replete with history and several stories about it, This temple is situated 8 km away from Tirur town on the way from Shoranur to Kozhikode. On the opposite shore of the temple of Vishnu, there are temples of Lord Shiva and Lord Brahma. 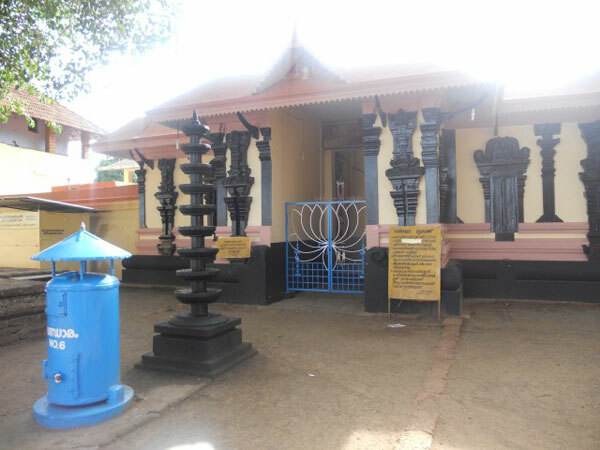 There is also a celebrated school of Vedas to the Namboodiris adjacent to the Brahma temple , which it is believed was consecrated by Lord Parasurama. So the devotes consider this place as equivalent to Varanasi (Benares) , The river near the temple also is considered extremely important to do Pithru Karmas(Worship of manes) especially in the months of Thulam(October-november) and Karkidagam( July-august) It is not clear whether the idol of the temple is made of metal or stone even to those who touch and worship it. The temple was supposed to have been established by the nine occult yogis viz. Sathuvanathar, Saaloga nathar, Aadhinathar, Arulithanathar, Madhanga Nathar, Macchendira Nathar, Kadayanthira Nathar, Korakkanathar and Kukkudanathar. It seems the idol of Mukunda was consecrated by one of these yogis and as per the custom, the temple was shut for seven days. But when they opened the temple after seven days, there was no trace of the idol. Then the second yogi did the consecration. The same story was repeated till the eighth yogi. So when the ninth yogi consecrated the yogis did not wait for the stipulated seven days but opened the temple after three days. They were surprised to see that the idol has already sunk up to the knee. They immediately used occult manthras and stopped the further sinking of the idols. So even today, you can see the idol sunk up to the knee. It is believed that in spite of it the idol is sinking and when it has completely sunk, Kali Yuga will come to an end the final deluge will take place then. In course of time the first eight yogis attained salvation but the ninth yogi , prayed God and wanted him to send those great yogis back to the temple, The god replied to him that the eight yogis were still there worshipping the God and showed them to him, The ninth yogi also wanted to join them. The God fulfilled his wish and it is believed that al the nine yogis are always there worshipping the god. It seems there is a bottomless pit behind the present idol and once upon a time a priest wanted to measure its depth. He tied his ring to a very, very long thread and slowly introduced it in side the pit. But in spite of keeping on adding fresh threads, the ring seemed not to touch the bottom. Hurriedly he withdrew the thread and was surprised to find that the ring was missing. The Great yogis and Thanthris do not stand on their foot in this temple but kneel down before the deity in the belief that underneath the entire floor several God’s idol (which were lost) lay buried. Just behind the temple there is a lotus pond and it seems the great devotee of Vishnu Gajendra (king of elephants) and goddess Lakshmi used to pluck the lotus flowers from the tank and offer it to Lord Mukunda. At one particular time the lotus flowers were about to be over and the upset Gajendra petitioned the Lord. To solve his problem, Lord Vishnu drew Goddess Lakshmi inside his temple and gave her a separate sanctum inside the temple compound and requested her to make the place prosperous. Another story is about the connection of sage Markandeya to this temple. It seems when Markandeya attained the age of 16, Yama, the God of death started chasing him. Markandeya ran in side the Nava Mukunda temple. It seems then the God gave him one handful of mud and instructed him to rush through the west door to the Shiva temple at Thirprangode, make a shiva linga out of the mud given to him and worship it. As soon as Markandeya crossed the west entrance, Lord Vishnu closed it by putting a big stone there. (Even to this day, that door is blocked). Markandeya did as instructed and was saved by Lord Shiva, who killed, Yama, the God of death. Apart from the main temples of Lord Vishnu and Goddess Lakshmi there is also a temple dedicated to Ganesha in this temple. The rituals to the manes (Pithru Kriya ) is supposed to be very propitious, if done on the Amavasya of Karkidaga month(July-august) and if it is done at this temple because, it is believed that on that day Goddess Saraswathi, Gayathri, Lakshmi, Parvathi, Planet Shani, sage Markandeya and rivers Ganga and Jamuna are supposed to assemble at this temple. 1. It is not possible to say whether the river flows from north to south or from South to North. 2. The outside Pazhukka Mandapam of the temple is so made that it is not possible to tell whether it is inside or the outside the temple. 3. The leafs of the banyan tree in the temple look the same on both sides and after picking it is not possible to tell which is the top or bottom of the leaf. 4. It is not possible to tell whether the Krishna idol of the temple is made of stone or metal. Festivals: The annual festival of this temple falls on the month of ‘Meenam’ (March-April), lasts 10 days. 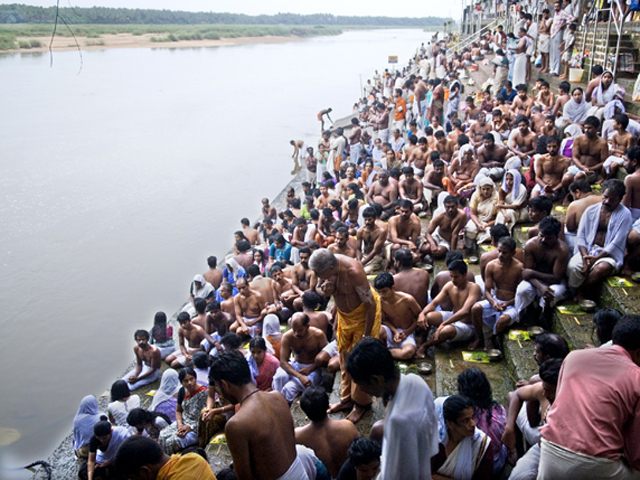 The festival starts with the ‘Kodiyettam’ ceremony (Flag of) and ends with ‘Arattu’ (bathing of the idol). 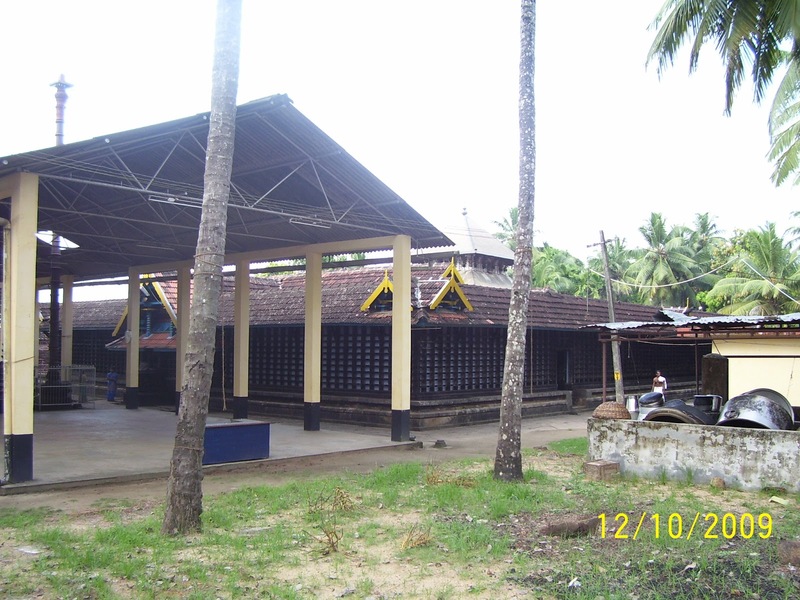 This sthalam is situated 1 mile away from Edakkulam railway station in Kerala. We can also reach this place by traveling through bus from Shoraanoor to Kuttipuram. 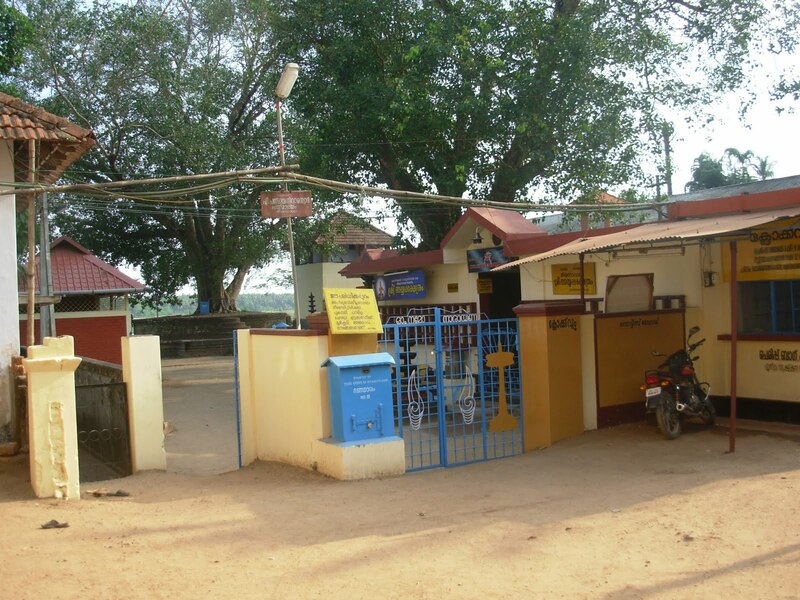 This sthalam is a small village and as such, there is no proper lodging facility available. 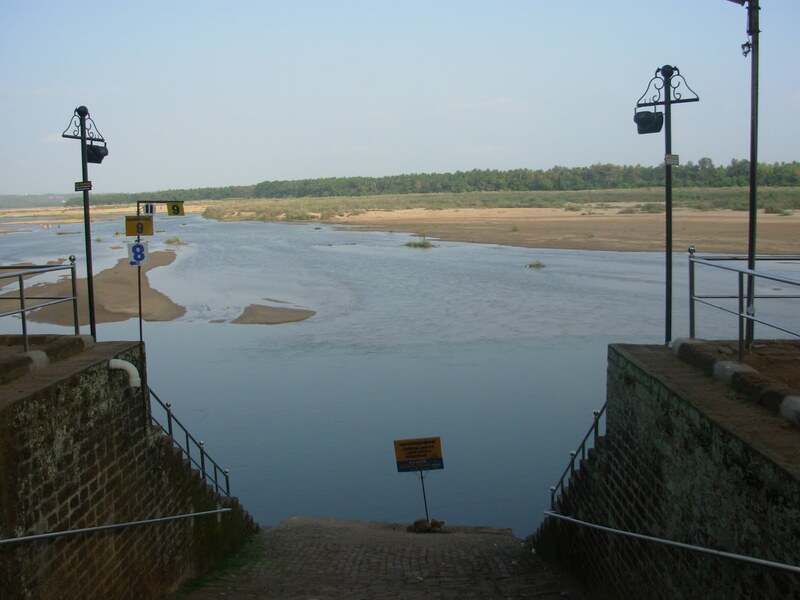 This sthalam is on the shore of Bharathappuzhi river which is 1 mile away from Edakkulam along the south direction.